My past standing in the center of universe. This is one of the few times I’ve posted an entry with the picture first…but LOOK at it. It’s beautiful. They were beautiful. These people frozen for time in this amazing moment. This stroll through the Zocalo. The heart of Mexico City: formerly the heart of the Aztec capital of Tenochtitlan. The center of the universe. The known world. Well, ok, for some people…in a very specific time (seven or eight hundred years ago or so). But look at these people in this picture. They were fun and adventurous. And fearless. That’s my Nanny on the right. My Papa must have taken the picture. The other two people are Dr. Creed and his wife, the beautiful Jeanette Creed. Longtime friends of my grandparents and frequent travel companions. Now, not to disclose too much information, but Dr. Creed was my kind and gentle childhood dentist, the reason my mom went back and finished high school, and he had no small part in encouraging my mom and dad’s relationship. So you might say these people were quite important to me. While this picture was taken before I was born, this small group of people would have enormous impact on my life. 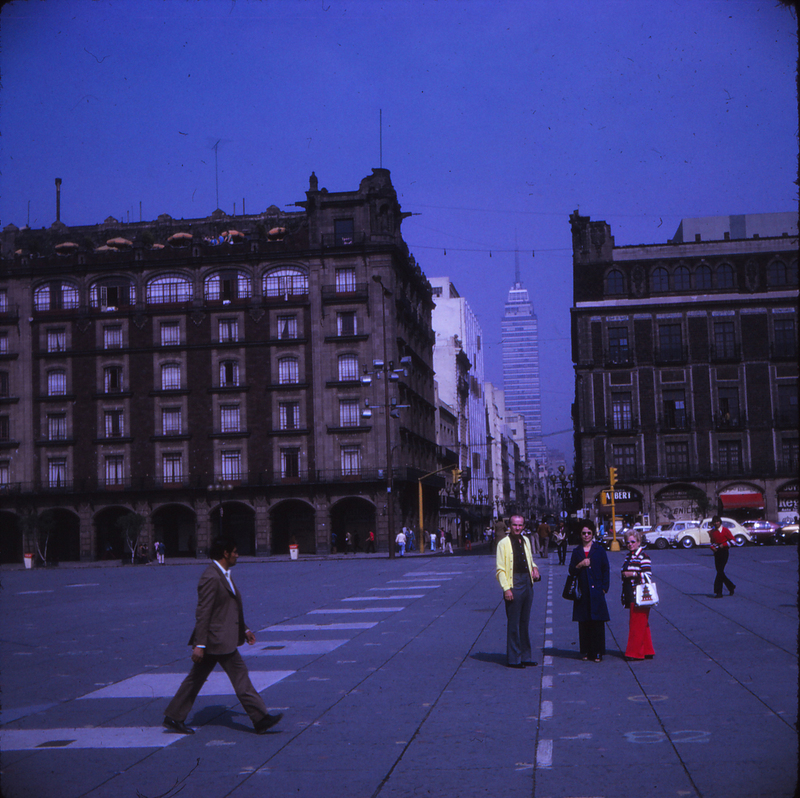 Ok, now the trip was to catch these pictures that I have of my Nanny and Papa with their friends in Mexico City. Ok, now back to the present. While trying to write this post which has already gone through a few drafts, I couldn’t figure out a way to work in that my long-time and wonderful friend Shelly flew from Chicago to meet me in Mexico City for this latest trip. And then, after much creative thought and some heartfelt consideration, it occurred to me to do it like this. My friend Shelly, who lives in Chicago, flew last minute to join me in Mexico City for this latest trip. Ok, so that done, I have it from my aunt Sue that Mexico City was my Nanny’s favorite place to visit. And it’s easy to see why, now. But in the couple of weeks leading up to the trip, every time that I mentioned where I was going to friends here in New York, I would be met with concern at the very least: outright panic from others. Our news and media and info we receive through that filter has a tendency to dictate for us how we will feel about a place or a people. And I must be honest. 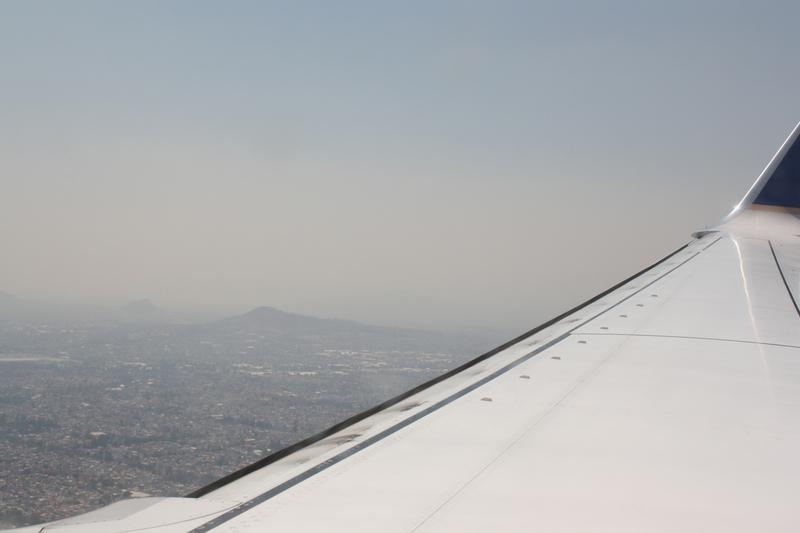 Before I made this trip I knew shockingly little about Mexico City or its history. And unfortunately what I did know, or thought I knew, made me afraid. I knew stories about drug cartels, kidnappings, muggings, gangs. But it is so much more than that. And my Nanny knew that and loved it. They always seemed to travel without fear or hesitation. I’m not sure I can say that about myself. So, as is often the case when we have limited ourselves or our thoughts, all we really need is a mirror. Ok, maybe an emotional mirror. Several months back a very sweet girl, well, woman, that I grew up with messaged me and geniunely expressed her concern about the fact that she and her husband were making their first ever trip to New York City. But only to pass through for one day on their way to another vacation. And they were nervous. She was scared. Because all she knew was what she’d been told through the filter of media and internet. And it looks like murder. And it looks like muggings and differences and danger. All the things that scare us. And I remember, I must confess, as helpful as I may have been in calming her fears, they seemed crazy to me. I thought, come on, it’s just New York City. Mexico City. A city, by the way, of over 20 million people. Stretching out from the center, the Zocalo, and crawling up the surrounding hills wrapping around this dried up lake bed. House built above a house. People on top of people. And in many cases, poverty built on top of poverty. As I watched this sprawling humanity passing on the ground below, my heart rate elevated. From fear. Of being in this place. Would I be safe? Would I be kidnapped? Murdered? Just as my irrational-meter was beginning to smoke, I remembered my childhood friend’s message about New York and I laughed. I stopped tapping my toe, took a deep breath and let the tension leave me. I imagined the millions of people below who would, like I did my friend, think I was crazy. I’m so glad I went. It is a beautiful place. It is cultured. The people are warm and inviting. They have the most beautiful museums I have ever seen, ever, anywhere. Shelly and I ran ourselves ragged trying to see and do and eat and drink as much as we could. And I have to say we did pretty well. Anthropology Museum. Templo Mayor. A public bus to the ruins of Teotihuacan. Dinner in the Zona Rosa. Breakfast in the Polanco. Spanish-only karaoke late into the night in a Mezcal bar (easily Shelly’s favorite experience…you karaoke fiend). Delicious food. Kind people. Rich history. I could go on. Now, is New York sometimes unsafe? Yes. Should my friend be afraid to visit? No. Is Mexico City sometimes unsafe? Yes. Should I be afraid to visit? No. Too far? That was probably too far. Here’s the pics. Well, anyway…fearless travel. Well, mostly fearless travel. Like I said, this was my Nanny’s favorite place to visit, and they saw it all!! And if anyone knew how to travel fearlessly, it was them. From a stroll through the Zocalo to a journey behind the Berlin Wall. From a safari in Tanzania to a camel ride through Egypt. We could all learn a thing or two about the adventure of life from them. But in the end, it was my childhood friend who showed me a mirror of myself and allowed me to let go a little. To be less afraid. To not let fear blind me to the world passing by. Instead to be present and see. See this amazing place! No, I mean it! See it. You’ll be glad you did. I know I am. Thanks, Shelly!! Follow a little of Shelly’s and my adventure through Mexico City and the Teotihuacan ruins in the gallery below. Just move your cursor over an image for a caption or click any image to open up an image carousel. or…Journey to the GREATEST ADVENTURE. Come on girl! If we look winded, know that Teotihuacan is at an elevation of almost a mile and a half…take that Denver! Teotihuacan ruins. Surviving paint in temple. Amazing what they continue to discover in this place! Teotihuacan. Or how about an impromptu mass while waiting for bus back to the DF. Montezuma’s other revenge may be that all the the old buildings and churches are sinking into the ancient lake bed. Shells in front of the Palacio de Belles Artes (Palace of Fine Arts). She’s right at home here. Templo Mayor. Band-Aid break! Lots of walking in Mexico City! Continued excavation at Templo Mayor. Hidden under Mexico City for centuries. Cortes was sort of a bully. Catedral Metropolitana (Metropolitan Cathedral), built on top of the destroyed Aztec city of Tenochtitlán. Cortez built Cathedral on Aztec city. Now Cathedral is sinking into lake bed. Phone Bar, Hotel Geneve, Zona Rosa, Mexico City. Beautiful historic hotel!